Two weeks ago, Bangladesh deemed it safe for Rohingya refugees to return to their homes in Myanmar. 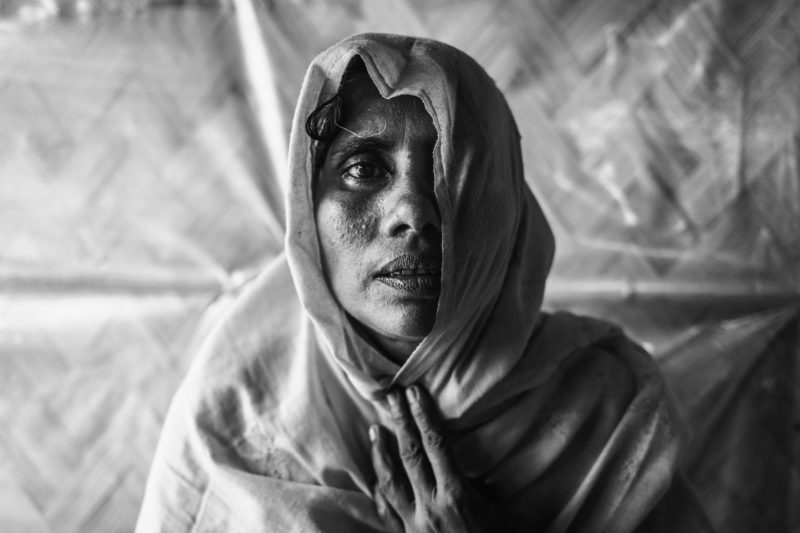 Rohingya families were skeptical. Having escaped what the United Nations describes as systemic abuse and violence, these families — now occupying camps in a desolate and deforested swath of land in Bangladesh — did not heed the call. They want to return to their homes — eventually. But not like this. Not under a cloud of doubt. Despite living in hard conditions, many are able to hold on to hope in the midst of a desperate situation. Their journey continues. 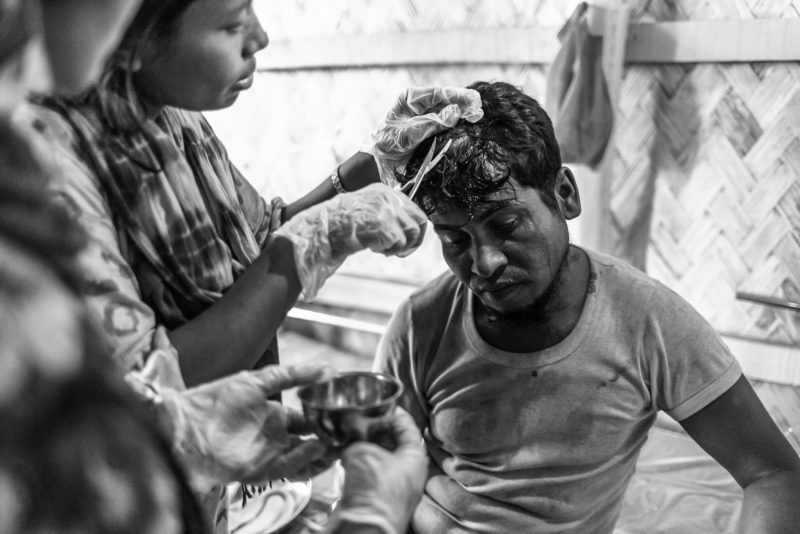 Since the Rohingya crisis began more than a year ago, Medical Teams International has been working to improve the health of the refugees. While they’re strong and bold, their lives have been uprooted in ways that make them prone to infections, diseases and mental health crises. Here are a few of their stories. As his village was attacked and burned, Abdu scrambled to safety along with his neighbors and friends. Those who were fortunate to run freely found themselves flung into exodus. Abdu was one of many—part of the fastest moving refugee crisis in years. Now living in a sprawling camp the size of a city, there is no guarantee of safety. The 25-year-old walked inside our clinic with blood dripping into his eyes. He told the clinic workers that a basic mishap had led to the injury. A saw had fallen from a high shelf, gashing his head above the hairline. Health workers dressed the wound. They stitched it up so it wouldn’t reopen. They put antiseptic on it so it wouldn’t become infected. Abdu was thankful for the swift care. Without it, he would have had to stop the bleeding himself. In the unsanitary conditions of the the camp, he would have risked a life-threatening infection. But with the wound stitched, cleaned and dressed, he could return to the simple life he’s carved out for himself in the camp. The black smoke was so heavy it blocked out the sun. That’s Gul Meher’s memory of the day she ran from her home. Black smoke turning the sun of that cloudless day a bright red. In the distance, there was fighting — the sounds of gunshots and screaming. The 35-year-old mother picked up her baby, Shorifa Bibi, and ran to a friend’s house. Her friend, a shop owner, took her and roughly 100 other neighbors in. He had plenty of food and supplies. But after two nights, they heard that the militants were approaching. Again, they fled on foot. She joined a large group, thousands strong, that marched for 20 hours to the border. Along the way, they encountered militants. But there was strength in numbers. The militants were outnumbered by the Rohingya villagers and couldn’t do any harm. In order to cross over to Bangladesh, Gul Meher had to pay a boatman to take her and her baby across the sea. The boatman took advantage of the refugees, locking them in his house after they reached Bangladesh. He asked for all of their belongings. After two days, Gul Meher relented and gave the man all her valuables. Staying healthy despite the challenges of camp life will be Gul Meher and Shorifa’s next journey. Nosima waited until midnight after her brother and nephews were killed before running from her village. Under cover of darkness, she started her difficult journey in the bitter cold, with an empty belly. This was like nothing she had experienced before. Eventually, she boarded a boat for Bangladesh. Her story is similar to Gul Meher’s. The boatman extorted the refugees. Nosima had no choice but to give him the rest of her belongings. She did this so she could survive. It was a necessary, distressing step on her way to Bangladesh. In the camp, Nosima became extremely sick. She had a fever for over a month and developed a terrible cough. For 10 days, her eyes turned yellow. Nosima’s sister saw how sick she was and told her about a clinic run by Medical Teams. The clinic’s doctor diagnosed Nosima with jaundice and gastritis. He gave her antibiotics, recommendations for her diet and scheduled follow-up appointments. It took time, but eventually Nosima made a full recovery. Nosima had never been that sick in her life and couldn’t believe that she recovered feeling better than before. She praised the help she received and everyone who made it possible. 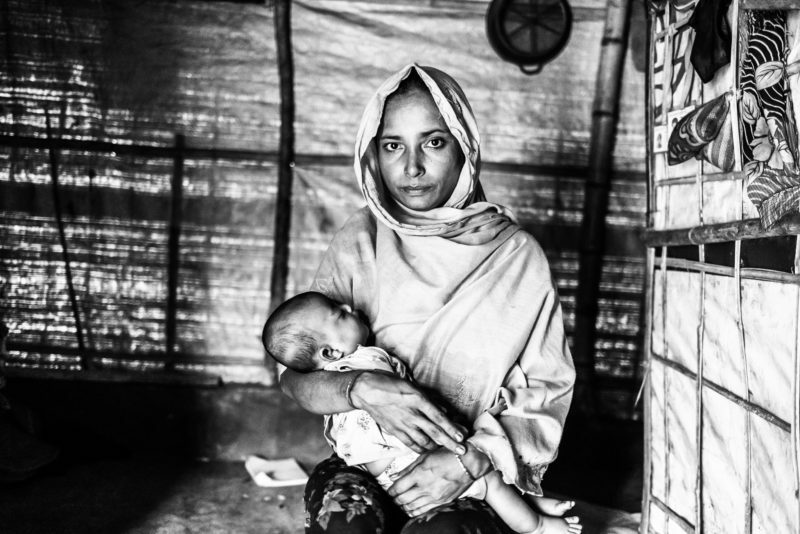 Rohingya refugees are safe from bullets and blades, but they’re not always safe from diseases and injuries. Their journeys continue. By helping a Rohingya refugee, you’re providing a lasting impact that will repair lives and bring hope.